LOOKa is a new mobile messaging app that is taking the instant messaging to a whole new level. Through the app, you can share images, animations and much more. Using the LOOKa is very simple. 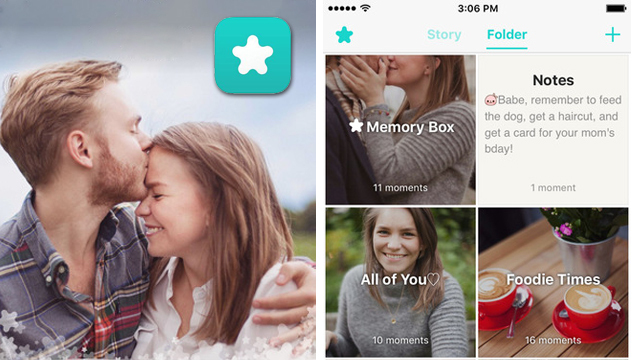 You just take a photo or video, choose a filter and send the image to a friend. It is as simple as that. Features of the LOOKa app. -Convert you photo emojI-The app allows users to transform images of their own faces to creative animated emojis. We all know how emojis are useful in expressing your emotions in case your words fail you. This iOs app allows you to convert your faces to emojis and share them with your friends. -Change your eye colours- The app allows you to explore different eye colours to help you get that eye colour that catches your fancy. 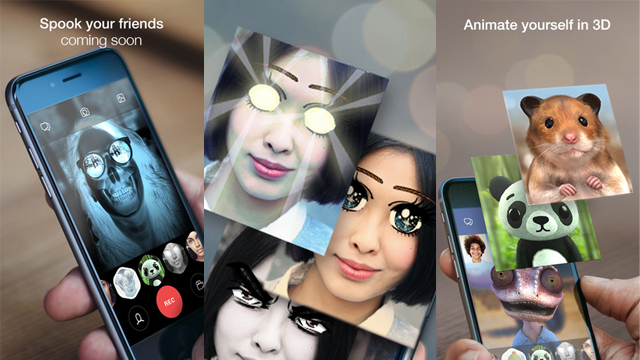 -Face transformations-The app allows you to transform your facial features creatively and share them with your friends. You can transform the size, shape and even add new feature to your existing facial feature. There is no boundaries to your creativity when using the LOOKa iOs app. -3D avatars- the LOOKa app also gives you a chance to experience you mood to your loved ones using hight quality 3 D avatars. -Special effects and scary monsters- If you are a fun of horror and scary characters, the LOOKa has something for you. You can transform your photos to some gruesome scary monsters that your friends will never forget. - More than 20 amazing filters- The app comes with more than 20 amazing filters which give you to retouch and customise your photos and videos to reflect your creative side. -Fun to use-This app transforms instant messaging as we know it. With the LOOKa app, sending messages doesn’t have to be boring any more. You can have as much fun as playing your favourite game. -Easy to use-Using the app is very easy. You just need to take a photo, choose your desired filters and effects and send the retouched photo to your friends. It is as easy as that. -Free download-You don’t have to pay anything to enjoy this amazing app. You can download it free of charge from the iTunes store. Does not allow you to use photos stored in your phone memory. You have to use a new photo or video every time you want to send something to your friends. When taking a selfie to send to your friends using the LOOKa app, make sure you lean towards the source of light to ensure that the photo is as clear as possible. The LOOKa app is the new exciting way to send pictures, emoticons and videos. Though sending emoticons is a last years thing, LOOKa selfie emoticons are the in thing right now. Whats more, the app is free of charge. Download the app from the iTunes app store and start impressing your friends with creative and amazing photos, videos and selfie emoticons. The fun doesn’t stop their, you also have more than 20 filters and 3D avatars to make your photos more interesting. TeamSnap is a popular indispensable app that promotes efficiency in team management when it comes to sports. It’s basically a tool for communication and organization that reduces known complexities of scheduling games, preparing necessary equipment and managing team members. 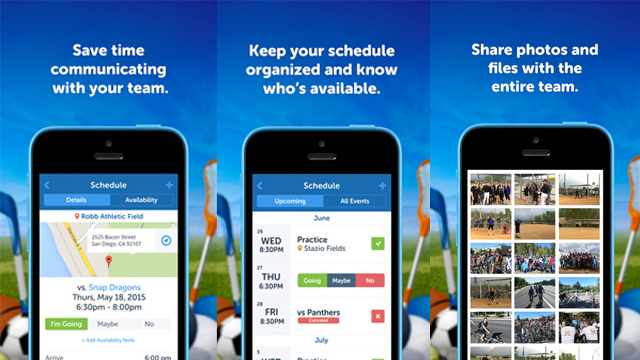 Today, the app has approximately 8 million users including parents and team coaches. · A completely new redesigned optimized user interface for iOS 8.0. · The TeamSnap Live feature – caters for easy sharing of live games anywhere with anyone. This feature keeps absent game fans entertained. The TeamSnap coaching app concept is based on ensuring the user keeps track of their team, payments, photos, roster, communication (through messaging like sending real-time updates to the whole team) and much more. In addition, the integration of the app and the TeamSnap web app allows for perfect synchronization of activities anywhere you are (all activities remain at your fingertips). · Team Scheduler: this includes location, time and maps of all practices and games. All these events are user generated (you can create, view or edit them). · Tracking: this involves tracking of refreshments, snacks, game apparel (gloves, socks and much more) and payments (from team members). Snacks and Refreshments ensure your team stays well hydrated and active. Note that this feature is highly flexible meaning that you can track what you want. To use this feature just toggle on (toggle off to stop tracking). · Comprehensive Rosters: this feature provides you with all the information you need to know including team members, their parents and lots of tailored information. Here you can add, edit or even invite players. Moreover, your device can read this data and add it to your address book. · Team member availability: Been the top leading RSVP tool today, members of the team can inform you about their absence for a particular event (or practice, party and much more) just by indicating on the available fields on the screen. This allows you to easily prepare ahead of time for anything planned. · TeamSnap Live feature: popular for sharing real-time updates such as scores and much more with anyone. · Team communication: this includes text messaging, emailing and use of a secluded online forum. The forum is a private community just for team members. You can share anything here including jokes or important information. · Team statistics: With this feature, you can manage, edit and analyze the team’s performance. The statistical data includes averages, throw percentage, scores and so much more. It allows for easy tracking of progress made, helping you make necessary improvements so as to maximize team efficiency. · Instant photo sharing: allows you to capture the best minutes of the game and share with anyone (fans, parents or friends). · Sync feature: you can sync the team’s calendar to any of your devices (iPad, desktop and many others). The benefit here is viewing real-time schedule updates. · Provides fast RSVP tracking by providing a new widget in the schedules tab. · Easier sports management including hockey, soccer, baseball, softball and many more. · Better app performance through bug fixes. · Sharing of real-time updates via TeamSnap Live feature. · TeamSnap is easy to use. · All features provided come with free plans for limited usage. You can use the app freely for certain tasks. · The app needs better header customization. It’s not easy for others to figure out changes such as email notifications. This is just a minor disadvantage. With that, the TeamSnap app is highly functional bringing all team organization and management efforts together on a single, easy-to-use interface. Comparing the app’s utility to its appearance, I can say that it won’t win any design awards but its features surpass this, making it a very powerful efficient management app.